The title track from the recent Jackie Greene E.P. release, The Modern Lives, Vol.1, takes a look at “Modern Lives” where things may have gone off-track and asks pertinent questions regarding survival in today’s world. The soundtrack to the observations and requests is a rollicking Country Soul. The musical styles for The Modern Lives, Vol. 1 shifts with the six songs collected in its roster. 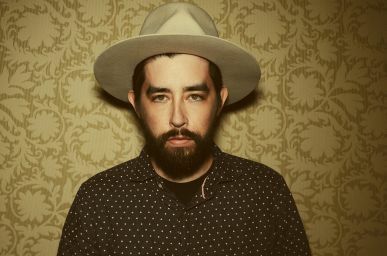 Lazy rhythms smoothly flow underneath Jackie Greene as he exposes “Back of My Mind”, bright Southern Soul slides alongside the tune’s bottleneck guitar for “Alabama Queen” as the album tells the tale of “The Captain’s Daughter” on rolling waves of chords and grooves. His knack for capturing the human experience in his stories turned the pen that began the path of The Modern Lives, Vol. 1 towards its author. Looking at his phone screen, waiting for an UBER driver to pick he and his wife to head to the airport. Jackie Greene recalled that ‘my wife was feeling rushed, and I was feeling like we didn’t pack everything, and we were just watching this little screen counting down the minutes until a stranger's car would come and take us to the airport. For some reason, I picked up a guitar and started playing this hootenanny thing. I sang the first verse and part of the chorus into my phone and then literally wrote the rest of it in the Uber. It all seemed very appropriate’. From the jumping point of heading off on a trip, The Modern Lives, Vol. 1 follows a banjo riff and a heartbeat rhythm down to “Tupelo” as Jackie Greene lays out “Good Advice” on a ragged rock’n’roll beat. 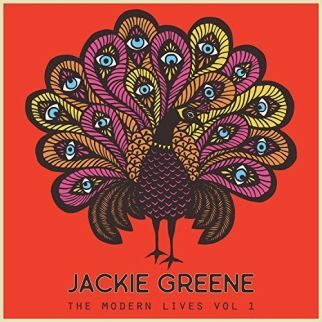 The animation of Bill Plympton once again backs the music of Jackie Greene for his second single release from the E.P., The Modern Lives, Volume 1. Jackie Greene sings of “Good Advice” as director Plympton sketches out the images to match the Country Soul soundtrack of the tune.